If you are reading this you’re a Support Bold Customer! This means our team of experts is here to not just do the heavy lifting during implementation, but to also kick your Support services up several notches. We can’t wait to see what magic we’re able to create together.If you are a new customer preparing for implementation or you are a current customer purchasing Support Bold, please complete the form below once you have read through this guide. By completing the form, you are certifying that you have read this guide in its entirety and that you are ready for your Kickoff Call or to move forward with your new package. I'm ready for my Kickoff Call! What follows is a high-level comparison of what actions and services are included and excluded as a part of your Support Bold package. If you have any questions about what is outlined, please consult your Implementation Specialist. Landing page management Reviewing and uploading any customer providing spreadsheets. Identifying and curating info from external sources. Photo Library management Updating the Photo Library per the customer’s request Creating or curating images. Submission Guidelines Localist will draft the copy based off of customer’s workflow and policies that are shared through a short survey. Once approved by the customer, Localist will implement. Styling is included with Custom CSS/Theme Editor action. Drafting guidelines for the customer. Tailgate configuration and asset design Designing and implementing icons, a splash screen and colors. Custom feature development. User permissions Updating existing user’s permissions. Manually adding users. Widget creation and design Building and designing widgets to the customer’s specifications. If given access to CMS, Localist will add a homepage widget. Localist Widget Builder only (no API development), changes to the containing page and embedding widgets outside of the website homepage. The difference between Bold & Standard is as simple as everything included in Bold is excluded from Standard. That said, there are some minor exceptions where a particular action or customization must be made by a Localist Team member. Single-sign On (SSO): Localist will implement external SSO methods (CAS, Shibboleth/SAML, LDAP/Active Directory) once required data is received. SSL: Localist will provide a Certificate Signing Request for your custom domain. Once signed and sent back, Localist will implement SSL. Custom Domain: Once you have secured a custom domain, entered it in DNS, set it as a CNAME record and saved it in your Global Options, Localist will finalize the configuration after being notified that the previous steps have been completed. Communities: After a list of community names + matching timezones has been received, Localist will add these to your platform. Note: Localist language changes do not include: Filters, Custom Fields, or Homepage tabs. A Support Bold Progression Call is a regularly scheduled call with your Implementation Specialist. The purpose of these calls is to establish regular check points to keep everyone up to date and held accountable to the specified timeline and to-do list. Support Bold includes a maximum of SIX Progression Calls that will last a maximum of THIRTY minutes each. Your Implementation Specialist will work with you post-Kickoff Call to craft a schedule and cadence that best suits your team and timeline. Once confirmed, your Implementation Specialist will send your team a calendar invite that includes call-in and screen share details. Status updates on tasks (Localist and customer). Example: Relaying roadblocks, questions and timelines. Strategy discussions. Example: What is the best way to accomplish this workflow in Localist? The day before the call, your Implementation Specialist will send an agenda for the call. These calls should not be used as a time to review emails and updates for the first time or to have internal discussions. To ensure that your time with your Implementation Specialist is productive and effective, please respect the following guidelines. Read all emails from your Implementation Specialist thoroughly and completely before the call. Send additional questions and topics you’d like to review during the Progression call before the call. Only include team members who are 100% up to speed on your implementation process and the platform. If a decision is not applicable to your Implementation Specialist, please hold these discussions until after the call. Running behind: If your team or main decision maker is 5-10 minutes late, the call may continue but it will conclude at the original end time. In the event that the team or main decision maker is 10 or more minutes late then the call will be rescheduled at a later date and time. Please let your Implementation Specialist know as soon as you know you are running behind so that they can adjust the agenda or leave the conference line. Rescheduling: A minimum of 3 business hours notice is required for free rescheduling. If you need to reschedule after the 3 hour window or are more than 10 minutes late, the unattended call will count towards your six calls. 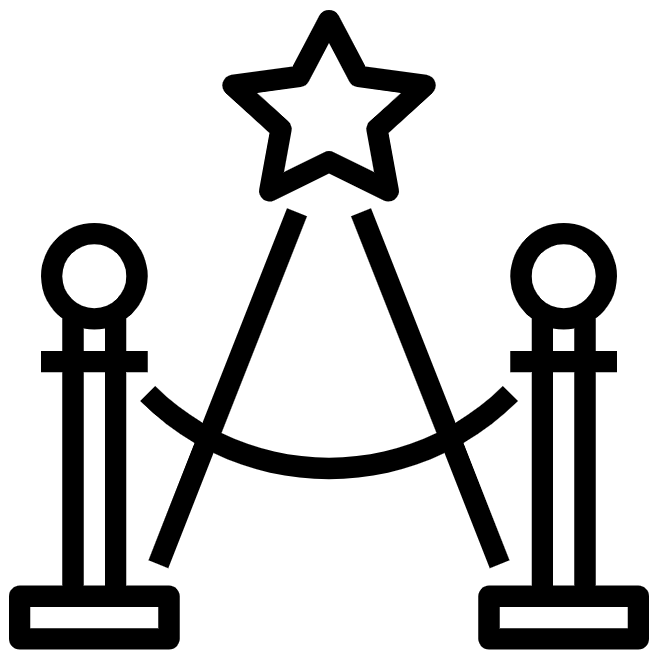 Branding development will not commence until Localist receives a completed survey. Localist can only guarantee a 30 business day turnaround for a complete branded platform starting from the day the survey is submitted. All styles must be clearly defined in the survey or available in the SILK Wrapper template or web page URL. Branding cannot be based off of customer created mock ups. Localist applies the customer’s SILK Wrapper. This tools is what adopts your website’s header and footer around your Localist content. The header and footer to be used in the SILK Wrapper must already be fully built, styled and available together in the same template or web page URL. Localist will not build, customize or piece together header and footers from different pages. All assets provided in the wrapper source (CSS, images, etc.) must be served over secure (https) links if SSL is to be implemented on your Localist platform. If requested, Localist will add a customer provided hero image to the wrapper if the template does not include one. Localist will maintain the responsiveness of the SILK Wrapper and Localist platform only if the SILK template is responsive. If the template or web page is not responsive, corrective CSS will not be implemented. In addition to the above CSS customizations, Localist may also complete the following HTML Theme Editor customizations per the customer’s request. Change photo sizes for listings and landing pages. Add customer drafted guidelines to the public submission form. Replace and/or add customer provided links and/or content to the “Share Events” box on the platform’s homepage. Language and time format changes. Once the SILK Wrapper and style clean up has been completed by Localist, the customer will receive a completed draft. At this time the customer may request changes to only the above mentioned CSS and Theme Editor customizations. Note: All changes require a 2 business day minimum turn-around. After the requested changes have been implemented and approved, the branding portion of Support Bold will be complete. 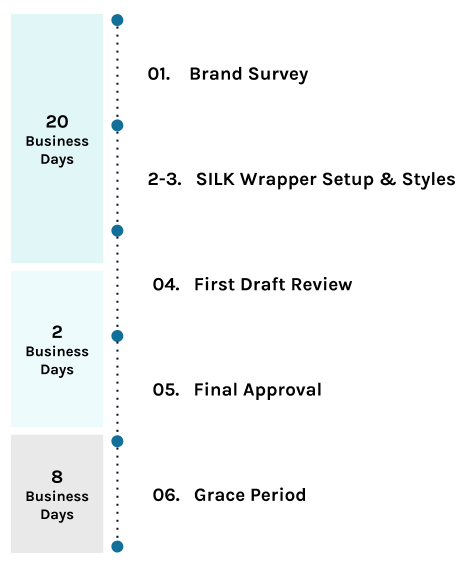 The following timeline reflects the maximum amount of time (business days) required between each step. Localist can only guarantee a 30 business day turn around from the day the Support Bold Branding Survey is SUBMITTED to us. If your header/footer changes, then the 30 business day timeline starts over. Contact support@localist.com if you have any questions.